Many toys were donated by the people that attended the Motor 4 Toys event on Dec. 2 2018 on Pierce College in Woodland Hills, Calif. 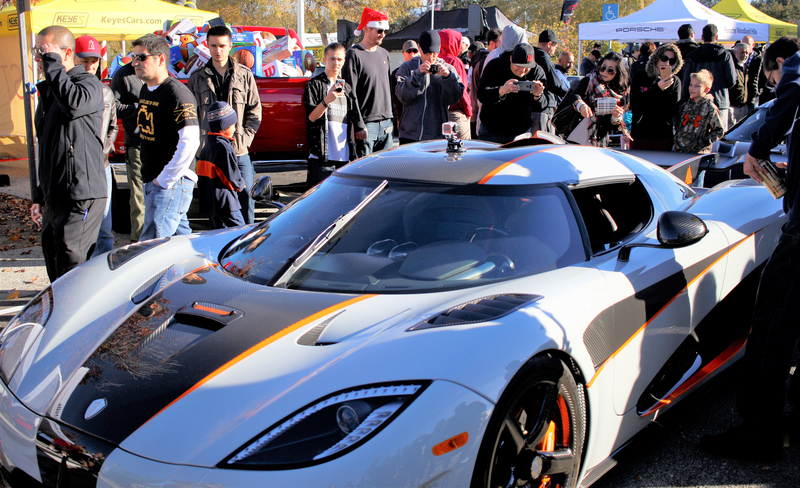 Many gather around at the Motor 4 Toys event do donate toys and check out the cars on Dec. 2 2018 on Pierce College in Woodland Hills, Calif. Many parents fear the winter holidays because of the expectations of buying expensive gifts for friends and family. In response, Pierce College hosted the annual Motor4Toys charity Car Show and Toy Drive with hopes of relieving the stress of holiday shopping and get people in the spirit of giving. Dustin Troyan is the forerunner for the charity event, which has been running annually for over a decade. The charity event now distributes toys to 45 different agencies to help children. Starting at a small coffee shop and now at Pierce, Troyan’s Motor4Toys began with a group of friends at another popular car show. Motor4Toys is 100 percent charity down to the donuts they sell to accommodate. 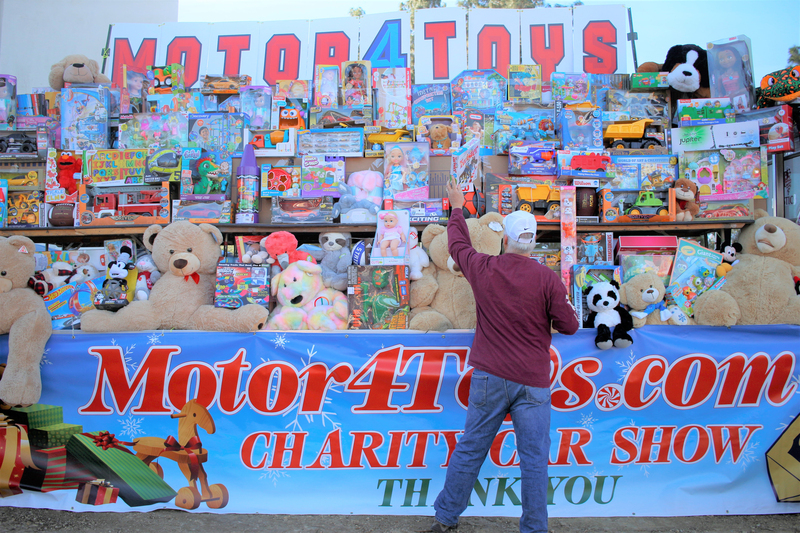 Motors for Toys receives no profit from the program and is projected raise roughly a 100,000 plus, toys. Troyan claims the day will revenue 2 million dollars in toys for charity. Troyan calls himself a big “community” guy. Some people have come from other states to be apart of this event. What you will see is everything from hot-rods to imported vehicles all owned by car enthusiasts alike. Troyan has many annual sponsors that cover the cost of the event. Fast Intentions is one of the many companies who annually come to sponsor. Operations Manager, Kevin Verdina says they’ve been sponsoring for five plus years. People seemed to be reluctant to be apart of Troyan’s vision. He says that he had the idea one year but was too chicken to ask. Then the following year he did. Having brought them thousands of dollars worth of toys, HRE Wheels, has sponsored Motor4Toys for 10 years. Brand Marketer, Jorge Martinez, said HRE Wheels and Troyan have known each other for years. Through their relationship, HRE Wheels tries to get invested in any sort of charity event that Troyan has. He relates as a normal person who works like everyone else and is given the opportunity to give back. Near freezing weather or a long days at work hasn’t hindered Troyan’s attitude. He does it all with the help of others that want to give back too.